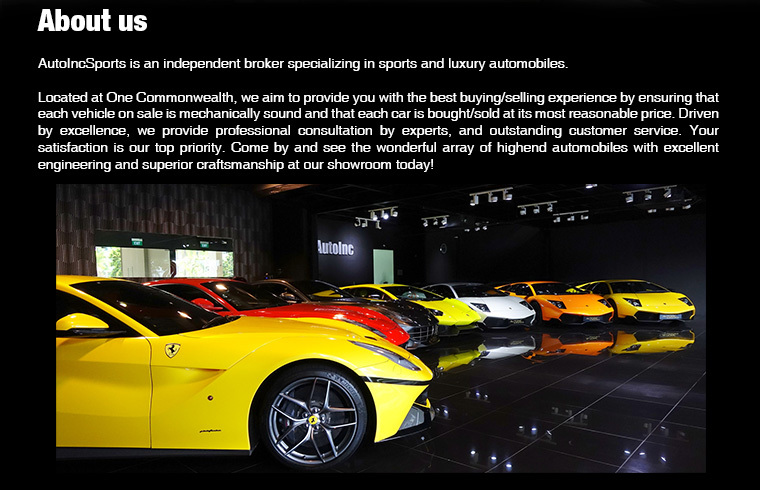 AutoInc EuroSports is a broker specialising in high-performance and luxury automobiles. 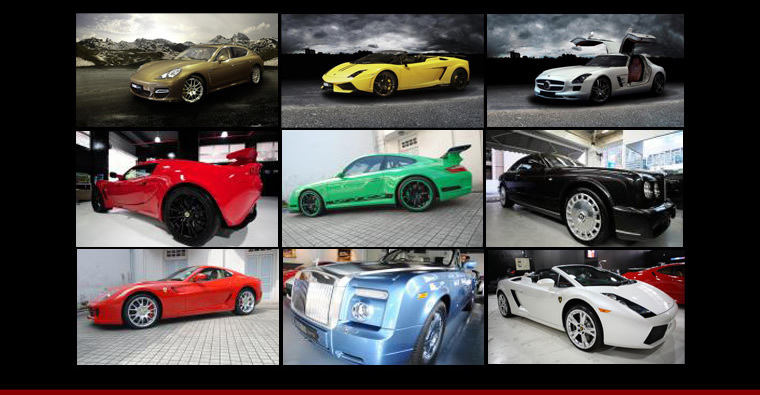 They were founded in 2004 with one vision in mind "To Revolutionise the Supercar Industry". 10 years on, looking back at their humble beginnings, they are proud of what they have achieved. What sets them apart? Simple. Passion begets excellence. 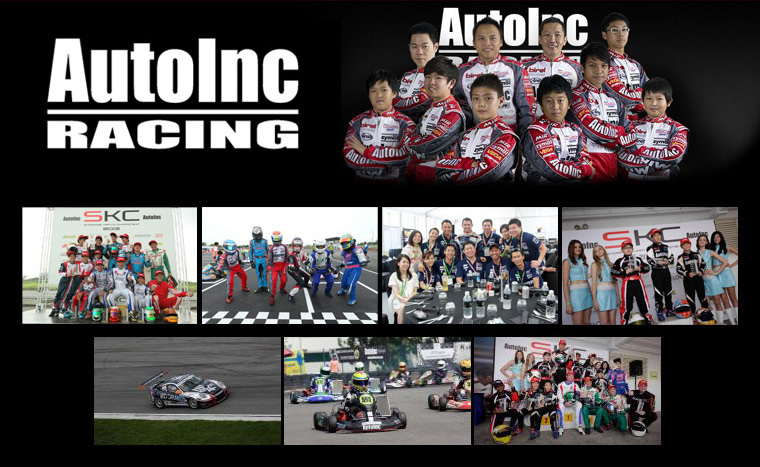 As a trend-setter in the industry, AutoInc EuroSports firmly believes in promoting trade transparency. This means no gimmicks, no hidden costs, and absolutely no half-truths or un-truths. Every supercar that passes through their doors is sent for a full mechanical report prior to its sale. 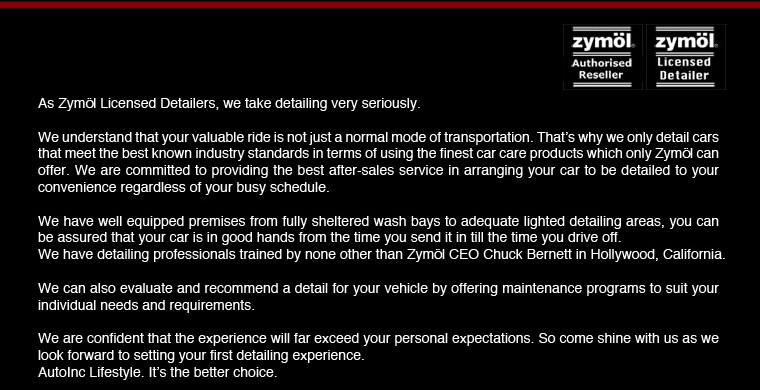 Their staffs also help to ensure that each vehicle is fairly transacted at its most reasonable price. For their clients, it is a refreshing change of pace from the hard bargains and backroom deals they have grown accustomed to.